Mass is the quantity of matter that is contained in an object. It remains same, no matter where you take the object, either into space or another planet. Because the number of atoms and their density remains same. 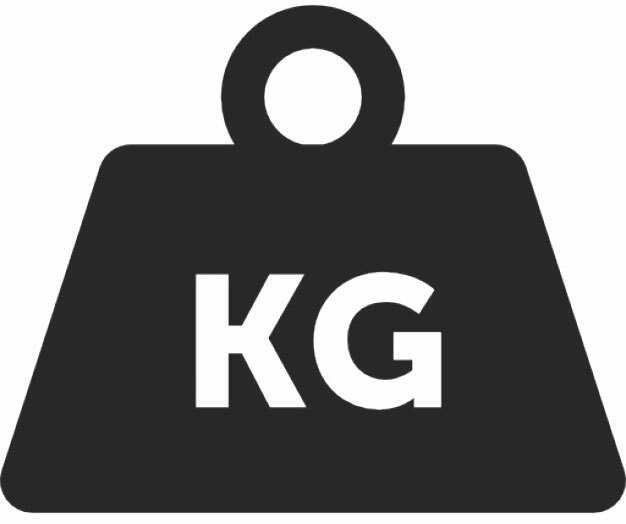 Mass is measured in kilograms in international standard of units. Inertial Mass: It is determined by the resistance of an object to change the state of rest or motion. For example, you have two smaller balls; one is made of plastic and other is made of iron. When you move each of the balls back and forth, you will notice that iron ball takes more effort to move. This is because the iron ball has more mass than the plastic ball. Gravitational Mass: Anything that has mass exerts a gravitational force on other objects. This gravitational force is measured to find out the mass of an object. Weight is actually force exerted by an object under the influence of gravity. Weight depends on the gravitational pull of our Earth. The weight of an object changes with a change in gravitational pull, but their mass remains constant. Weight also depends on the mass; the more mass you have, the heavier it will weigh under the gravity. If you carry an object to the moon, it will weigh much less because the moon has lesser gravity than the Earth. But in space, the weight of the objects will become zero. Weight has the same unit of force; newton. It can be calculated by using the second law of motion. Here F is the weight of an object in newtons, and “a” is the gravitational acceleration of the Earth, which is 9.8 m/s^2. Example: Calculate the weight of an object, whose mass is 100 kg. The weight of the objects can change in different locations of the Earth. Because at some locations, gravity is slightly weaker. A man weighing 100 pounds on the Earth would weigh only 37 pounds on the Mars. Weight and Force are measured in Newtons (N), It is named after Isaac Newton. Abdul Wahab, "Mass and Weight," in Science4Fun, April 13, 2019, http://science4fun.info/mass-and-weight/.